The new year is officially here. 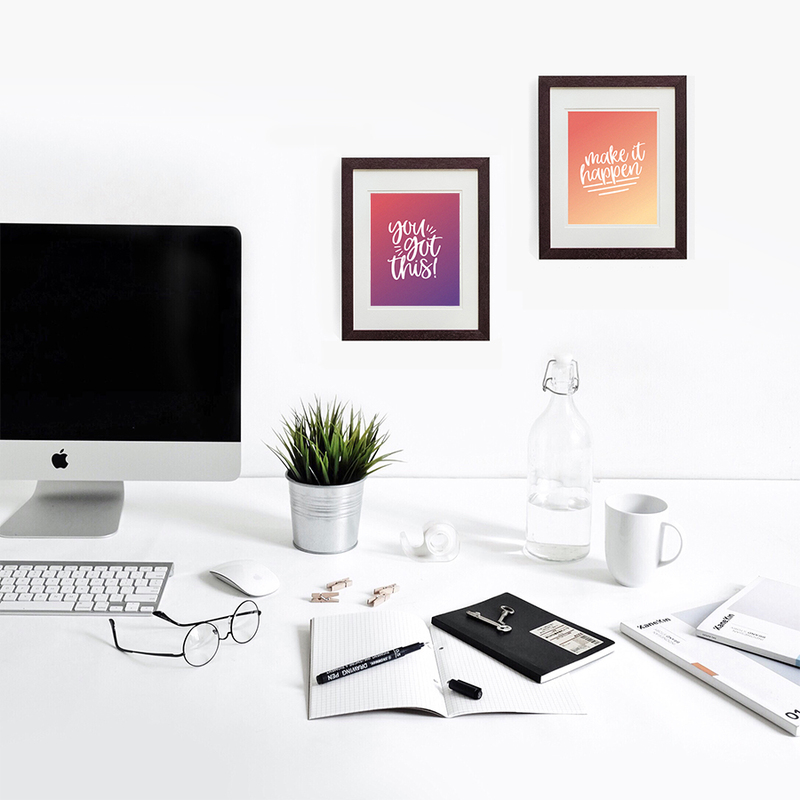 What better way to get inspired than to refresh your workspace? Follow these four easy office updates to keep you motivated throughout the new year! Clutter is distracting, and with new goals in focus, it’s important to start fresh! Grab some decorative file folders and file away any 2017 documents that you may need later on and recycle anything that you won’t need moving forward. Don’t forget to declutter digitally as well. Few things are as beautiful to behold as a fully-organized inbox. Turn on a juicy podcast while you archive old emails and move any unnecessary files to an external hard drive. Once you have decided what you need to keep, organize your desk items in categories! Keep your pens, highlighters, and office supplies in a Photo Mug or pencil organizer. Keep your notepads and planner in an easy-to-reach spot, but don’t let your desk become a catchall. Lastly, clear out your desk drawers and only keep the essentials. Hold an in-office “yard sale” to give unneeded office supplies away, or find a student in your community who can use what you don’t need. Our tip: if you haven’t used it in a year, toss it! If you have a desk that’s experienced some wear and tear over the past year, grab a small can of paint and refinish it in an unexpected, cheerful color. If you work on a non-wooden surface, try using a peel and stick wallpaper to add some artistic flair. It’s proven that working in a space surrounded by artwork leads to an increase in creativity. Not to mention, if you’re meeting with clients, it makes your space feel more welcoming and professional. Our design team has created some colorful workspace inspiration pieces, which you can download for free and use to decorate your space. We suggest printing them on a Postcard or on a 5x7’’ Metal Print with an easel and displaying them on or above your desk as reminders of your awesomeness. 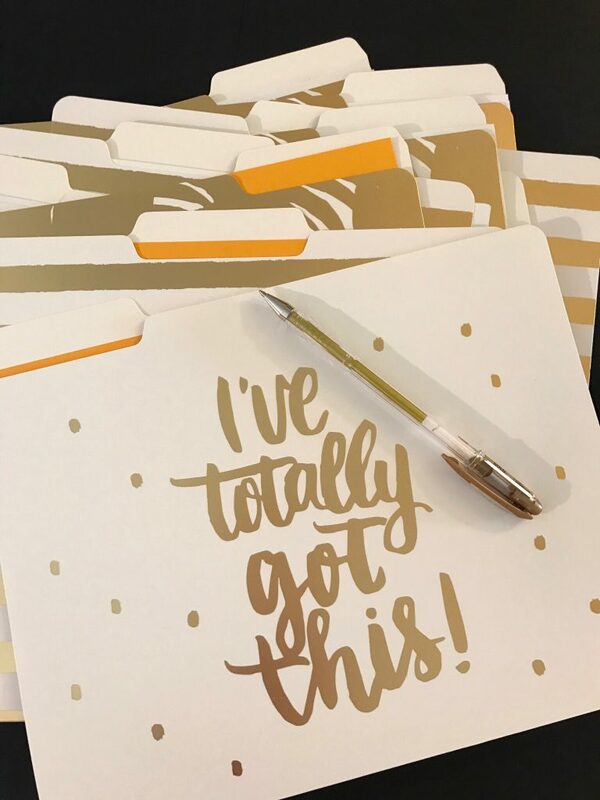 Now that your desk is clutter-free, organized, and filled with inspiring art, you’re ready for all of the new opportunities coming your way this year. What are your workspace refresh tips? Share them with us in the comments! Good, useful tips! Thanks so much!